They've got it all. As the oldest luxury department store in the United States, a discount L&T gift card is the perfect gift for that friend that likes to overspend on "the finer things." Or maybe you're looking to get yourself a present? 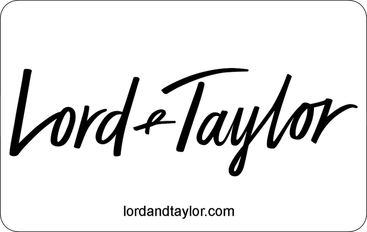 When you buy a discount Lord & Taylor gift card from GiftCard Mart, you can outfit yourself with the latest and greatest trends at a phenomenal value!